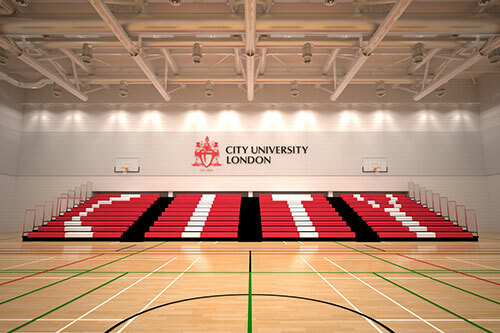 City's new sports facility on Goswell Road is now open! With over 3,000m² of floor space, CitySport provides outstanding facilities and equipment for students, staff and the local community, whether their focus is on training for health and wellbeing, rehabilitation, improving sports performance or simply having fun. At the heart of CitySport sits Saddlers Sport Hall, an elite competition sports hall of Sport England standard with seating for up to 400 spectators. It accommodates basketball, badminton, five-a-side football, volleyball, netball and other court games. There is also an impressive strength and conditioning area with free-weights and resistance equipment and purpose-built studios for group exercise, martial arts, mind and body classes, spinning and student team sports.